Step in and satisfy your cravings! Published Aug. 17, 2018 at 4:16 p.m. This Philly really should be "Phamous" – because it is just that good. In case you've missed out on my previous foodie suggestions, I specialize in trying out the vegan goodies of Milwaukee. Due to the fact that I am allergic to dairy, I try to exclusively eat out at vegan-friendly restaurants just to be safe. Thankfully, even with cheese as its calling card, Milwaukee has a lot to offer on the vegan side of things. For instance, I got the chance to check out Riverwest Co-op Cafe the other day – and it did not disappoint. First off, I suggest looking at the menu beforehand or else you will be holding up the line for quite a bit. It was a hard decision because everything sounded so good. But I ended up going with the Phamous Philly and I have zero regrets. Truthfully, I've never had a real Philly cheesesteak, but if it tasted anything like this sandwich, then I'm a proud supporter. 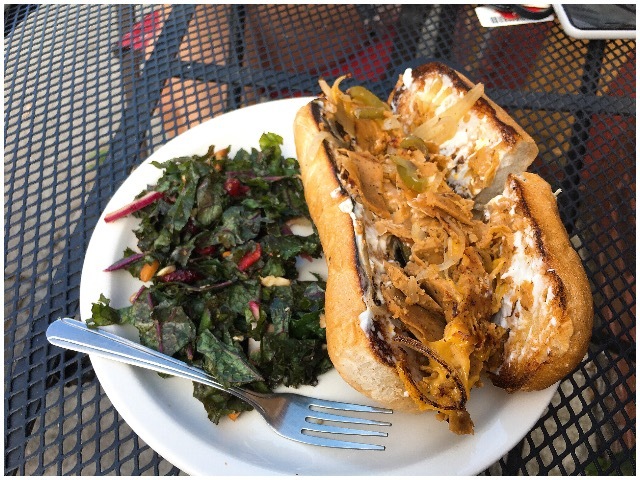 This Philly had all the yummies: house-made seitan, grilled peppers and onions, melted vegan cheddar cheese and Vegenaise (vegan mayo) on a toasted hoagie bun. It was divine. Instead of chips, I got their balsamic kale salad of the day. Of course, since the menu was so hard to choose from, my friend and I decided to split our sandwiches in half. 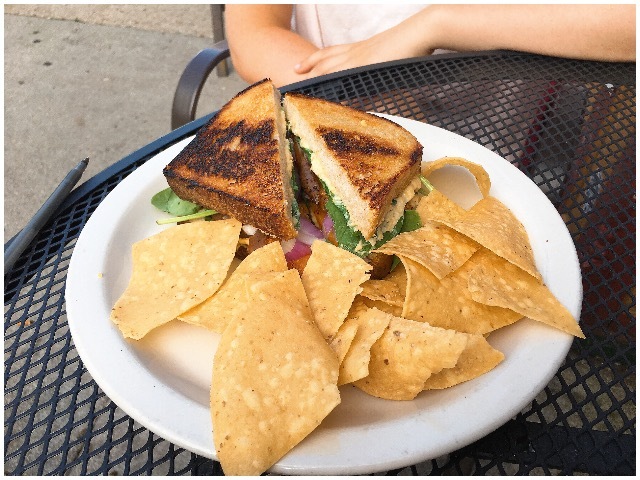 She got the grilled sweet potato sandwich which includes a roasted and grilled sweet potato, organic fresh veggies and its house-made hummus on toasted sourdough bread. Although both pretty different sandwiches, each were great 'til the last crumb. The Riverwest Co-op Cafe opened in 2004 and welcomes all foodies to try out its local, organically sourced meals. If you haven't been, I highly suggest grabbing a friend and treating yourself to some good, healthy grub. Head to their site for its menu, but be careful – it's sure to leave you hungry.